Primed Jane and John ROCKING their Primed lifestyle. Primed Jane and John are smarter, stronger, healthier and happier. Saving both time and money. •	John lost 9 pounds in 3 weeks and lowered his dose of insulin. •	I have lost almost 5 pounds and i have stopped taking vitamin D since i got a daily dose of natural vitamin D from the sun. Jane has now lost roughly 22 plus pounds without meds, supplements or gym. •	So far so good. •	I get a good 8 hours sleep most days except when i have odd shifts at work. •	We are grateful everyday for God’s love and abundant blessing. Primed. 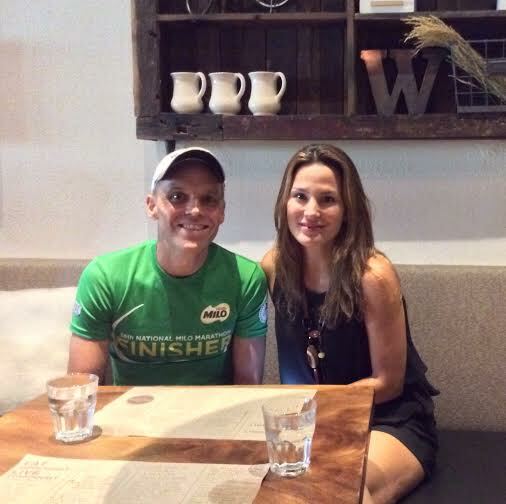 * It was where I ran 20km in the sun to and from North Edsa to see Primed nurse Jane from Sydney who is thriving Primed. Besides losing almost 20 pounds with no exercise she has improved skin, sleep, energy and mental cognition. * I coincidentally saw Primed Revelyn who had her beautiful baby Rain after years of trying just 2 months after adopting the Primed lifestyle. * Revelyn’s hubby spotted me because I was punching the air with glee after receiving a text from Nurse Joy saying her sugars are normal with no more type 2 diabetes. Nurse Joy saves Php. 4K per month by no longer needing any meds. This took just 6 weeks of following her fun Primed lifestyle. * When I got home my great mate @mikegroganph told me I have a great chance of getting a big corporate account (my specialty) because of how they see him Primed and because of his ringing endorsement. * What a great day. Julia Gabriel is 90. She loves coconut products, the sun, sleeps early and gets grounded. She was born Primed, and remained Primed throughout her long life and it is why she is kicking arse at 90. Some are kicking the bucket at 45! *** There is a reason they die young and Julia thrives still. Jane uses her cell phone less. Using your cell a lot ruins sleep, opens your blood brain barrier and stomach lining and makes your body produce sugar. Jane and John love food like this. They love fun and natural Primed activities. Want to be healthier and happier too? Primed works and is easily sustained for life. Affordable for all because we all deserve to be healthy and happy and I adjust to YOUR budget.